It's Monday and everyone is at home. My husband has one of a rare long weekends when he is not on-call. School is closed in observance of Martin Luther King, Jr. birthday, hence my son is wandering around in search what other video game to play. 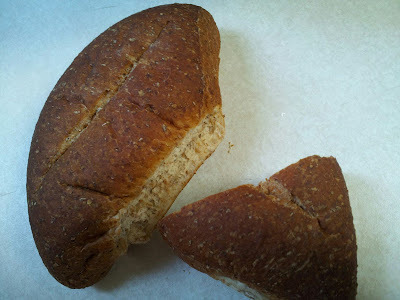 I am wondering around the kitchen thinking what to make for breakfast when I see two bread rolls in my bread pot (yes, I keep my bread in a pot lined with a flour sack towel). They are called rolls but they are more diamond shaped. No one will eat it, I am sure. Well, lets see if I can come up with some meal. I open refrigerator and see a carton with a weeping cream, a few zucchini, buttermilk... I think I have an idea! Rolls are sliced and submerged into the weeping cream. While they are pre-soaking, I peal the zucchini, shred it, add a little salt and let it stand in a colander. By this time bread is ready to go in a blender for a couple of pulses. 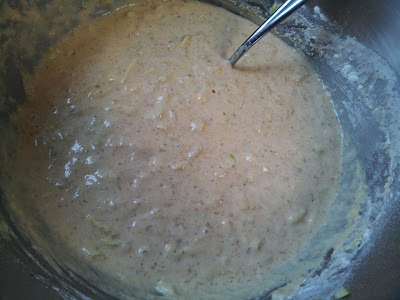 In the mixing ball I add a cup of all purpose flour, 1/2 a cup corn flour, 3 eggs, salt, granulated garlic, squeezed zucchini, 1 teaspoon of baking soda mixed with 1 teaspoon lemon juice. I give it a few good stirs and add the mixture from the blender, stir well again and adjust the batter with buttermilk and some more flour. Then I let the batter rest for 15 min (I use my kitchen friend Mister Timer for this). 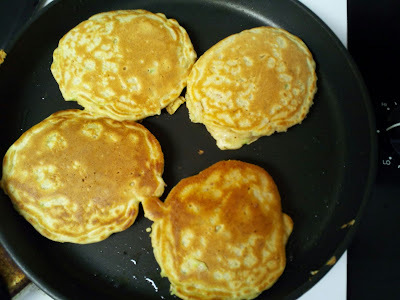 When Mister Timer calls for me, I give the batter another good stir and cook my little savory pancakes until golden-brown on both sides. "Something smells very good", my husband murmurs. "Can we eat now? ", ads my son. Perfect timing, yes, we can eat now. 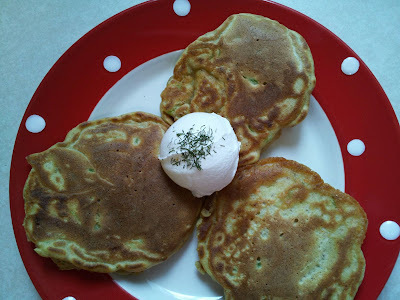 I love my zucchini pancakes with pickles, my boys - with a sour cream. Now, well nourished I am ready for some adventures. Temperature outside is in low 70's (21C). I need some fresh air. Where would I go? If I were in Seattle, I would go for a hike, probably Mount Si. I like where your creativity took you! What fun pancakes. I lived in Bellevue for 10 years...I miss driving up I-90 right by Mt. Si. What a coincidence - we lived in Bellevue for 10 years too, near the Crossroads. Thanks for stopping by at my blog! What a GREAT idea to use up what you have! Not only that, they look absolutely amazing! I hope you had a GREAT day off! What a great idea!I love it. following you back.